It’s the very end of May and I promised myself when the New Year arrived that I would pay attention to self-care. I’m not doing so great, because I just started focusing on some things for me last week! I have four children ages 7, 5, 3 and 1 years old. Any mom could agree that we put ourselves last most of the time. I don’t feel that I make the choice consciously, but when you’re buying a new wardrobe for these growing humans every couple of months, you don’t hesitate to put a pair of shoes you like from Target back on the shelf. I’m also famous for letting items I want linger in shopping carts online. Who’s with me? Self-care looks and feels different for everyone. For me, if I had spare time, I would see my friends more, read, exercise, sleep or do something fun with my husband. In an effort to remember me and all of the things that make me feel like myself, I’ve done a few things to perk myself up. Back in the heyday of my 20s I loved makeup. I even worked at the MAC counter for a bit. Eyeshadow was life back then. Now, I wear it on major holidays. Even though I’ve toned down my makeup routine, I still like luxury products, although it pains me to spend a lot on myself. So, what’s a girl to do? I recently bought a few travel-sized luxury products for less than $20 total. To give you an idea of what I purchased, I picked up mascara, bronzer, hair detangler and hairspray. I didn’t have one of these luxury, full-sized items in my bathroom, but now am feeling like I upped my beauty game a bit. This travel-sized product method makes total sense for a mom who only gets fancy when she sees other adults outside of the house. And I’m not talking about the employees behind the deli counter at your local supermarket. I’m talking about people who fill your cup up and people who knew you when you wore too much eyeshadow. I love the idea of buying travel-sized luxury products for a few reasons. 1.) Why spend that much money on a huge bottle of something you’re only going to use occasionally? 2.) Some makeup is only good for a few months anyway, so it works out that you’d run out by the time it’d have to be thrown out for hygienic reasons. Luxury products aren’t in the interest of every mom, but if this makes sense to someone similar, you’re welcome! I haven’t finished reading a book since last summer. I love to read and even completed my last book in a matter of a few days. I made an effort last week to find a few books that I’d be interested in and reserved them online for pickup at my local library. Thank you Reese Witherspoon for your fun book club picks! Instead of scrolling through Facebook while I wait in the school pickup line, I’ve been reading my new book. If my only option to read is in my car at this point, I’d say that’s much better than what I’ve been doing these past 11 months! Reading is something I’ve always enjoyed and I’m glad that I’m finding a way to squeeze it in, even if it’s only for 5 or so minutes. Over the winter I capsuled my wardrobe. 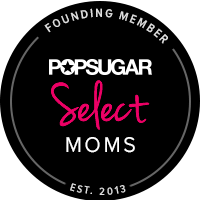 After four babies, I had lots of clothes from being postpartum, clothes I had from before the kids I was hoping to get back in to (yeah, right) and clothes I just didn’t like anymore. Capsuling made a ton of sense because it brought my wardrobe down to a reasonable amount of pieces and they all interchanged and worked together. It’s pretty great that my laundry hasn’t become a huge pile because let’s face it, a mom’s laundry gets done last. As I capsuled, I made my piles of donate and what I could sell. I then used the money I made to buy new clothes. I’m not sure why I have guilt to buy things for myself, but by doing it this way it felt cleansing and good. It made total sense. At this very moment, I still have a pair of worn-once leather pants I’m selling in my Poshmark closet. Here’s hoping someone wants them so I can buy some spring items! A lot of these playdates didn’t happen because things came up, kids got sick, or the weather was crummy. I was totally bummed out when they got canceled because I desperately wanted to chat with other moms. Humans. Strangers. Anyone who was taller than 4 feet. Now, that it’s almost summer, I’m for real making a conscious effort to make sure these playdates happen. I need it. I’m aware that finding time for me will be a challenge while my kids are small and that everything does get easier as time goes on. 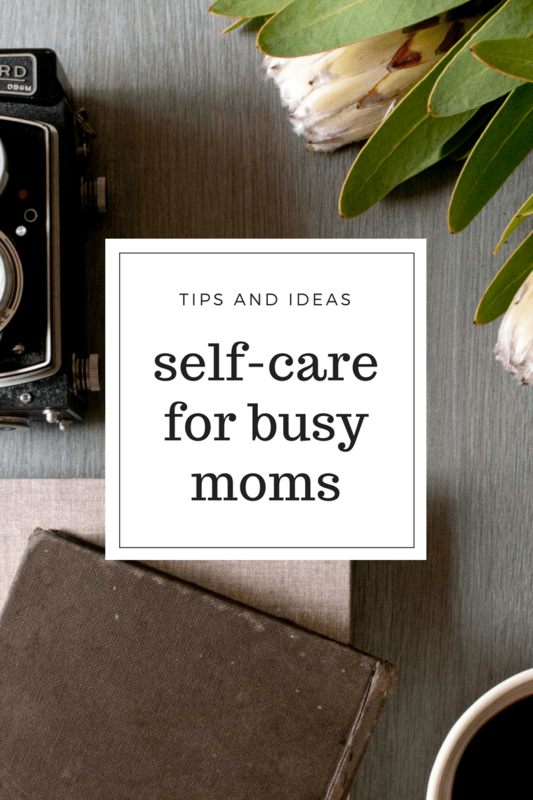 But, for moms like myself, who are in the trenches and just want hot coffee in the morning and to maybe eat a meal sitting down, these small ways of self-care may make a small difference.